Over the summer holidays I've been enjoying baking more than ever. It started with the children's baptism and didn't really stop. 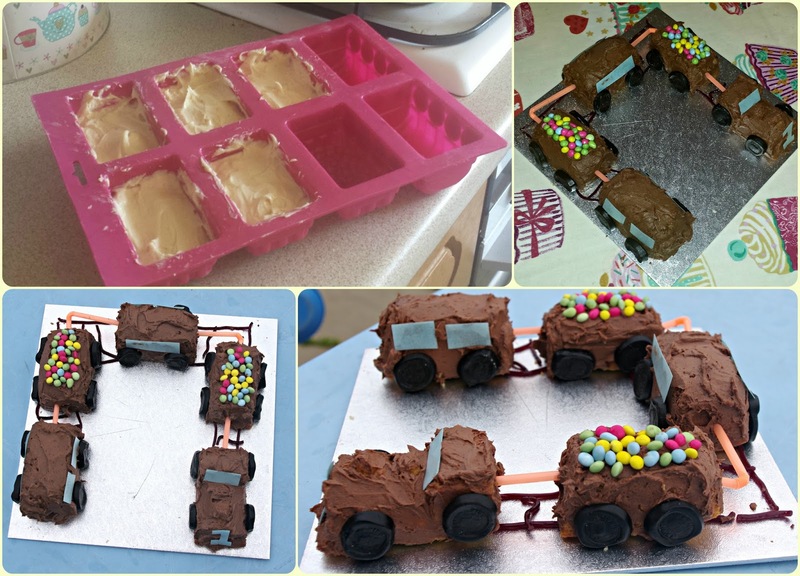 The summer we bought a train mould from TK Maxx and managed an imaginative train using a sponge mix and some of the pre-bought icing. 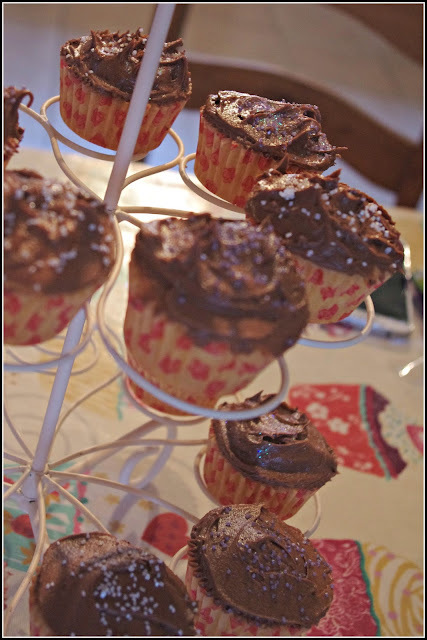 And had some batter left for cupcakes. 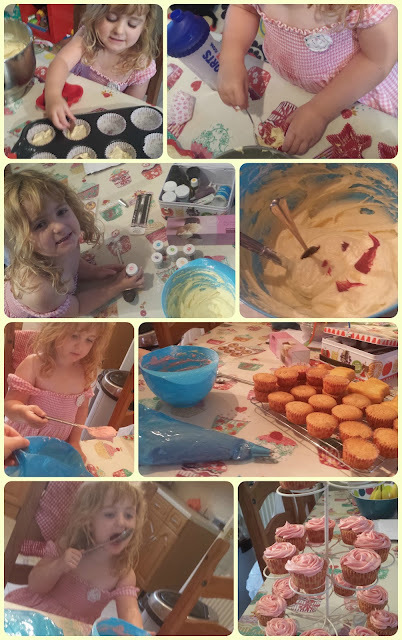 We learned that there is a reason cupcake cases can look rubbish. It's because they were cheap! But we carried on using them whilst we attempted to pipe our own buttercream. And we invested in some rice paper butterflies as someone loves them! And then we got involved in the #GreatBloggersBakeOff and everything stepped up a notch. 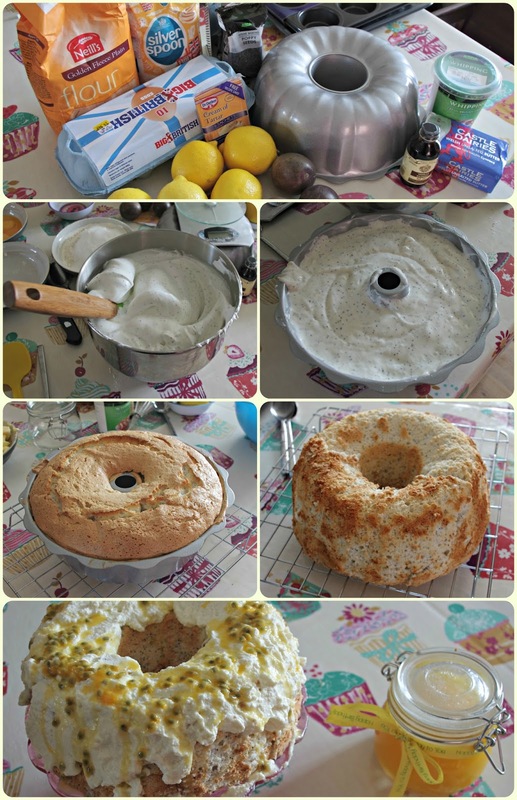 We made Angel Food Cake. And because we didn't much like attempt one, we tried again. 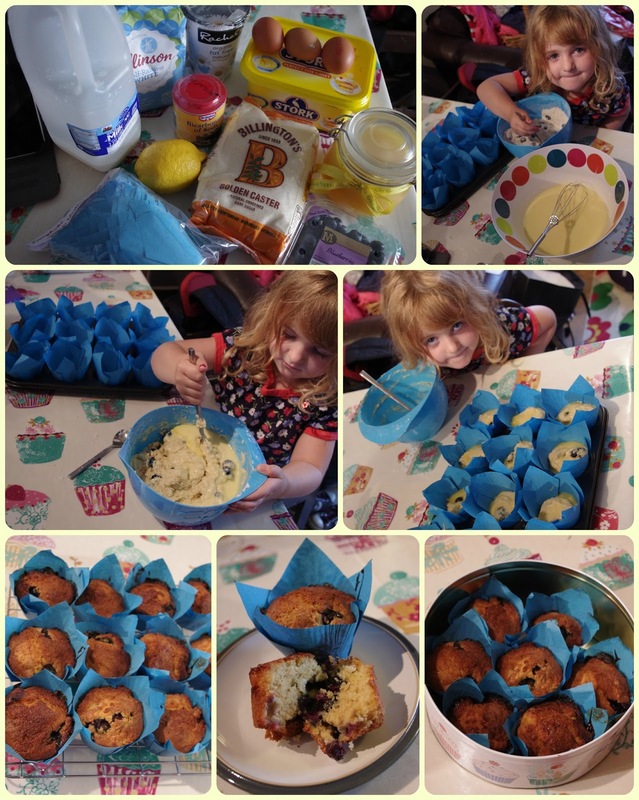 And then we attempted a Hairy Bikers Lemon and Blueberry Muffin recipe, because we love lemon and blueberries so why wouldn't you? 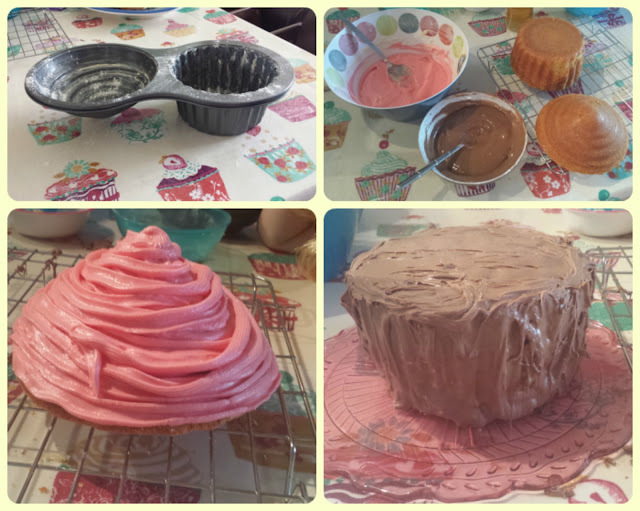 And then to top things right into the extreme- I decided to use the giant cupcake mould from Homesense. Now, obviously these aren't giant. 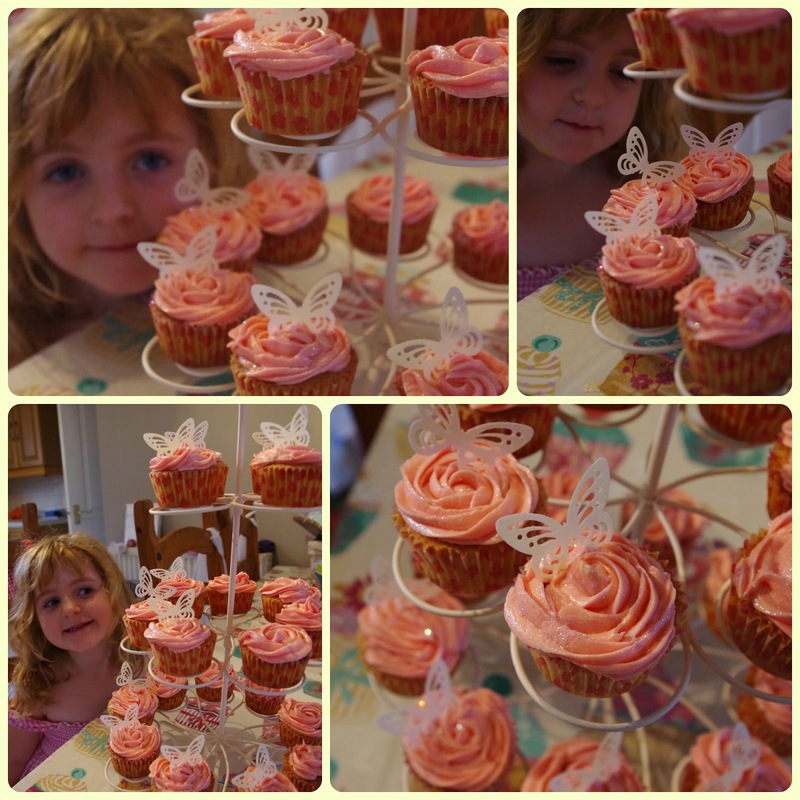 We had batter left over and decided to test the theory of good quality cases, and it was proved, these gorgeous butterfly cases feel more like paper and look fab, and we got some gorgeous flowers and more rice paper butterflies. 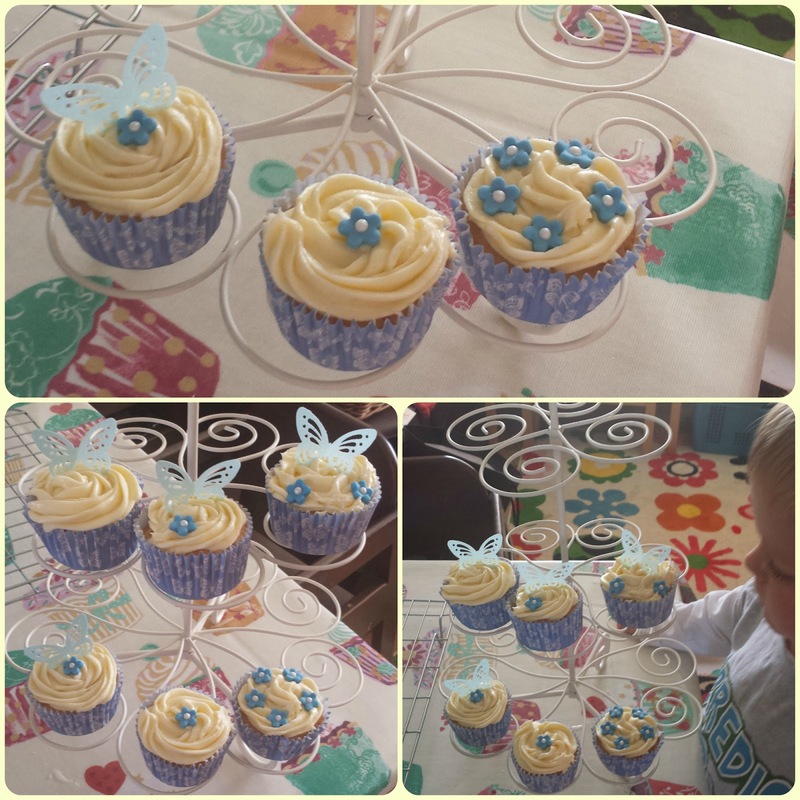 And I'm wondering about blue buttercream but think it may make it a bit overly blue. 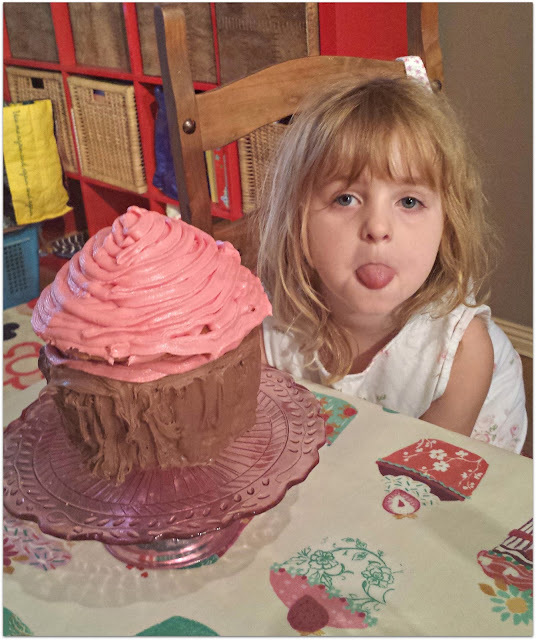 But onto the giant cupcake. My biggest cake to date! It was fab. I loved making it. And it was very well recieved. More so than mummy pointing the camera in her face again! And I've realised. Like my blog, baking is my escape. Albeit I could still do with taking up kickboxing by the time 5pm on a Friday arrives. But baking is becoming more than the thing we do whilst the boys nap. And it's becoming fun to find recipes to try. And it completely takes my mind of work. And getting the little people to help from time to time means it can be a great family thing. 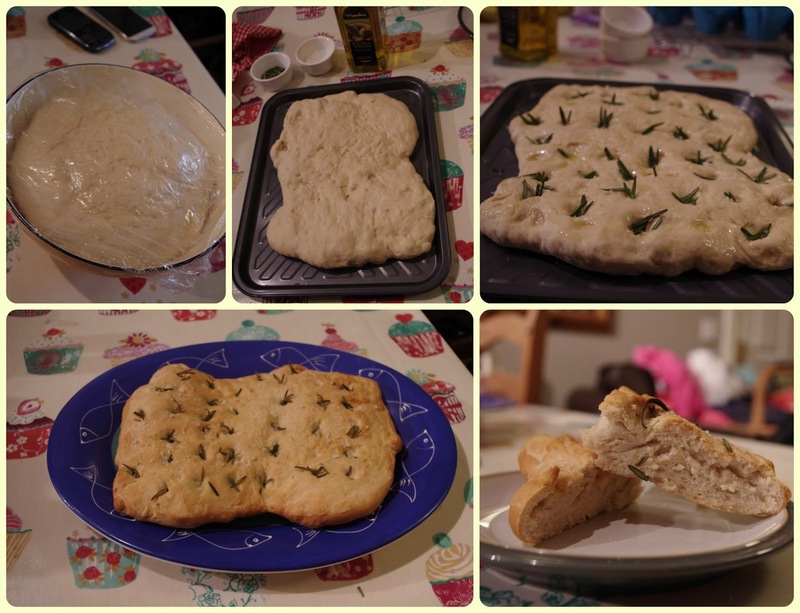 Squeaks helped me make the second round of foccacia. 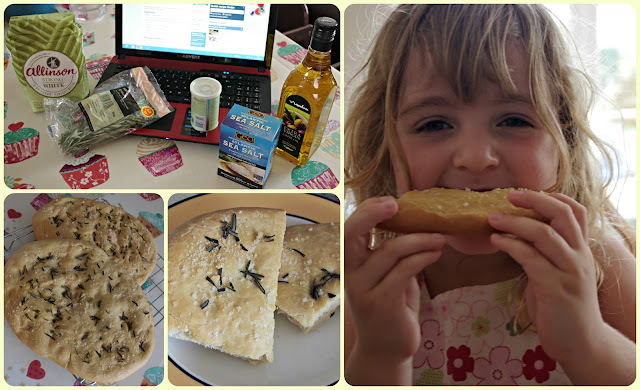 We kneaded the bread together singing "Wind the bobbin on"- pull, pull, stretch, stretch, stretch! I'm not sure what I'm going to try next. Little cakes for lunchboxes, which I can pretend to be petits fours when I'm in company. Let's go!